And all the guts and carnage, too! Enjoy watching popular streamers like Tobuscus create gory messes in Happy Wheels? You can now take it on the go with you! 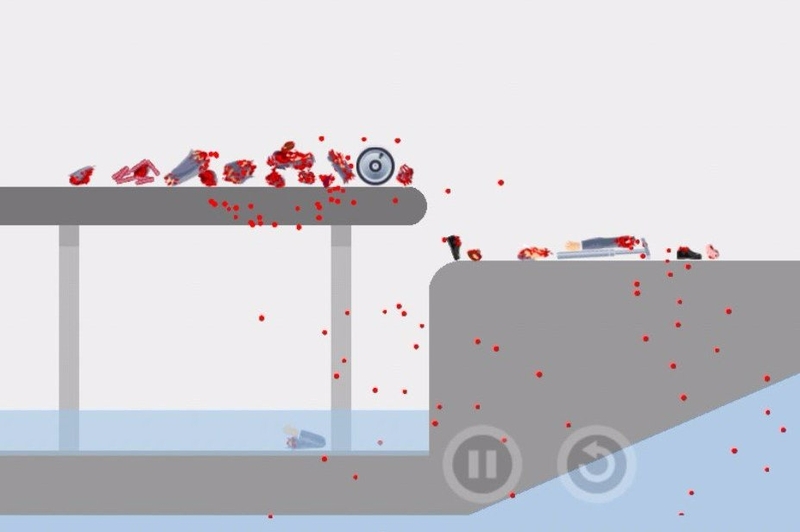 Happy Wheels is all about choosing a method of transportation, like a bike, a scooter, a Segway, or other wheeled vehicle, and then letting loose on tracks created by thousands of users meant to challenge and frustrate you. Oh, and they're also meant to tear your riders limb from limb. You'll send a father and son careening to their death together, a man in a wheelchair hurtling through the air, and subject even more still to torturous bike rides and scooter tricks. It may sound terrible, but only for the characters. It's actually hilarious in real life. So it's no surprise that the mobile version of Happy Wheels became one of the top apps in the App Store. If you dig one or more of the things I listed above, there's no doubt you'll have fun with Happy Wheels. There's a reason it's been one of the top games chosen by streamers, so if you're primarily a mobile gamer and have been waiting for a reason or a way to give the title a try, now's a great time to get it in!